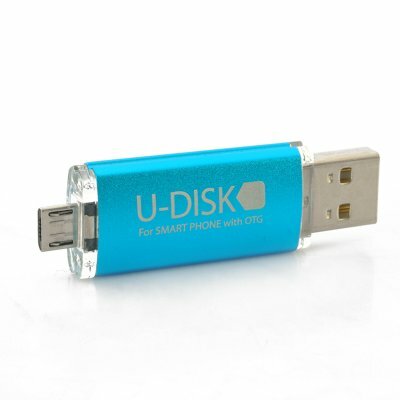 Successfully Added 4GB USB Flash Drive With OTG for Samsung, Motorola, Nokia to your Shopping Cart. 4GB USB Flash Drive with OTG Function is a great data transferring portable accessory that is ideal for any Galaxy Note I/II/Nexus/SI/SII, I9103, I9108, Motorola XOOM, TG01 or Nokia N8/E7 owner. Chinavasion is full of neat gadgets that are useful in their own unique way and this 4GB USB Flash Drive with OTG function lets you transfer data from your laptop or PC to your Samsung Galaxy, Motorola or Nokia phone and vice versa if you wanted to transfer data or files from your phone to a computer or laptop. The mini-USB connection is also known as a 1.1 5 pins or a Samsung USB. This extremely lightweight 10 gram USB flash drive has a capacity of 4GB therefore is exceptionally useful when wanting to expand the storage directly. 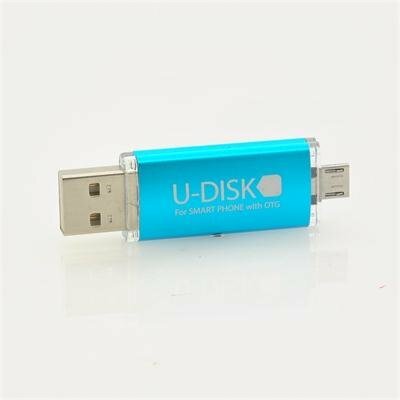 At one end of the flash drive is a USB 2.0 connection while on the other end is a mini-USB connection and as it is a ‘plug and play’ device it requires no installation or software. With a rapid 10MB per second transfer rate this flash drive will be fast enough to transfer and store your data and files. This 4GB Flash Drive is brilliantly useful accessory that is in stock now at an awesome wholesale price for you to order for yourself or in bulk for your online store. Brought to you by the leaders in electronic devices and cell phones accessories, Chinavasion. it works well on Samsung phone. I must have ten product words this product/ happy now?